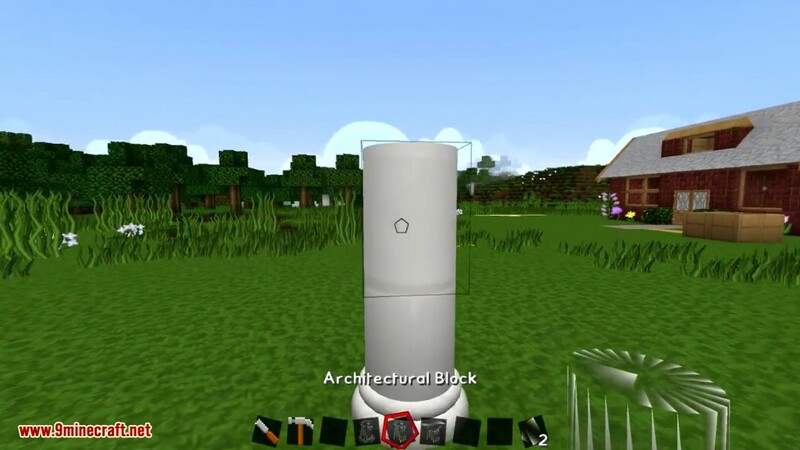 ArchitectureCraft Mod 1.10.2/1.7.10 provides blocks for creating various architectural features that can’t otherwise be achieved easily or at all. 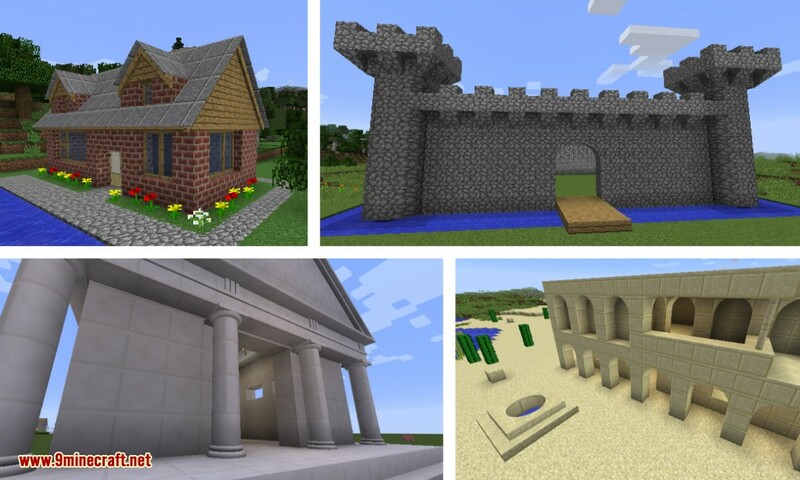 Currently included are blocks for building sloping roofs, pillars and rounded corners, and windows with frames. 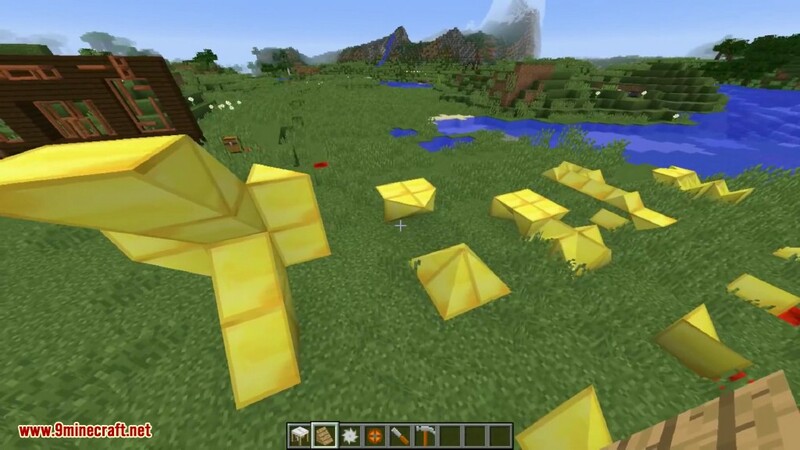 This is a brilliant way to shape blocks in Minecraft to your liking. 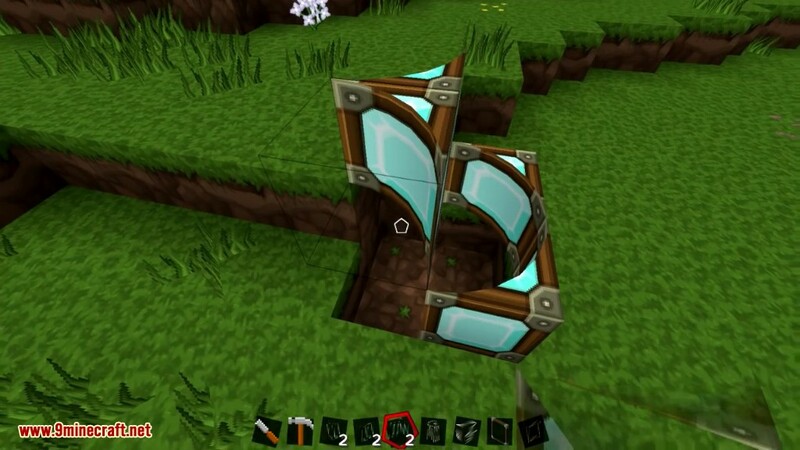 Anything from slopes to rounded edges, this mod will help to perfect your structures to better authenticity. 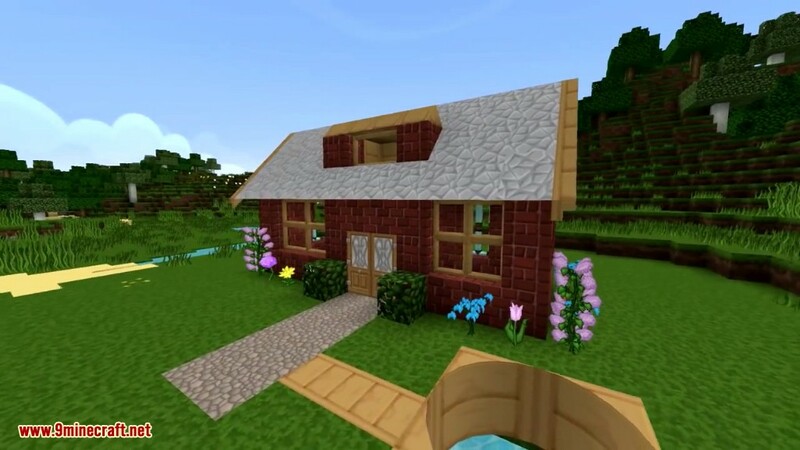 This mod provides a wide variety of good-looking architectural features including sloped roofs, glazable window frames, arches and other rounded blocks, classical pillars and entablatures, and railings for balconies and stairways. 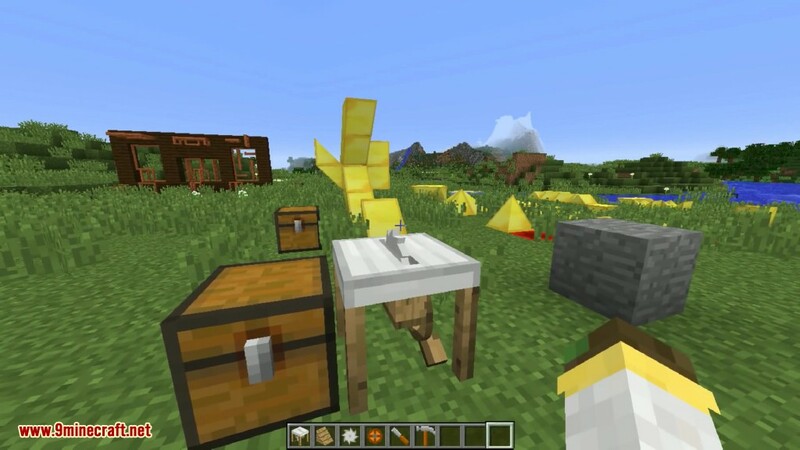 ArchitectureCraft blocks may be made from almost any vanilla material and many materials added by mods as well. 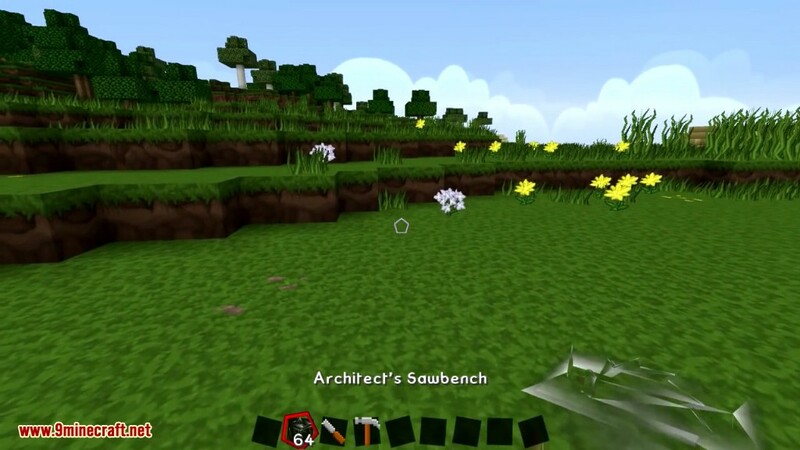 ArchitectureCraft blocks are created by using the Sawbench to cut up material blocks. Almost any type of full-cube block can be used as raw material. Material goes in the top left slot, and finished blocks are extracted from the slot below. A number of pages of patterns are available, selected from the menu at the right. Note: Some patterns may require more than one block of material in the input slot before anything becomes available from the output slot. The ratio of input to output blocks is shown underneath the output slot. 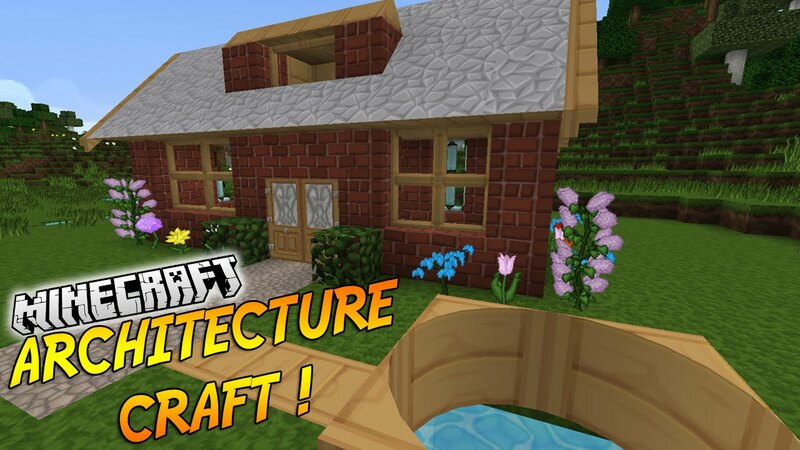 ArchitectureCraft provides two tools for manipulating its blocks, the Hammer and the Chisel. The exact function of these tools depends on the block, but the following general principles apply. 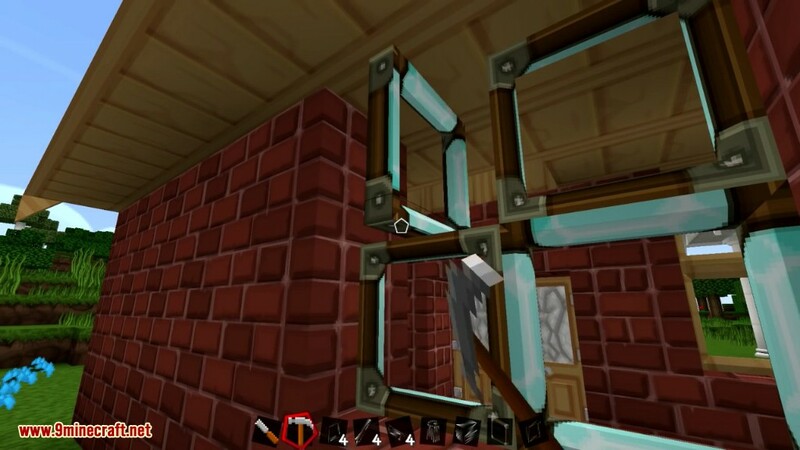 The Hammer is used to rotate blocks. 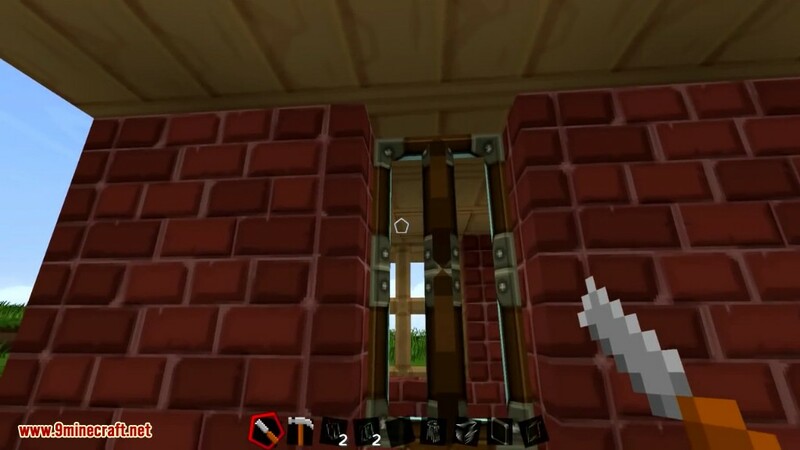 Right-clicking with a hammer rotates a block 90 degrees around its “vertical” axis (which may not actually be vertical if it was placed sideways or upside down — see Placement). Shift-right-clicking with a hammer cycles between the 6 possible orientations of its bottom face (north, south, east, west, up, down). 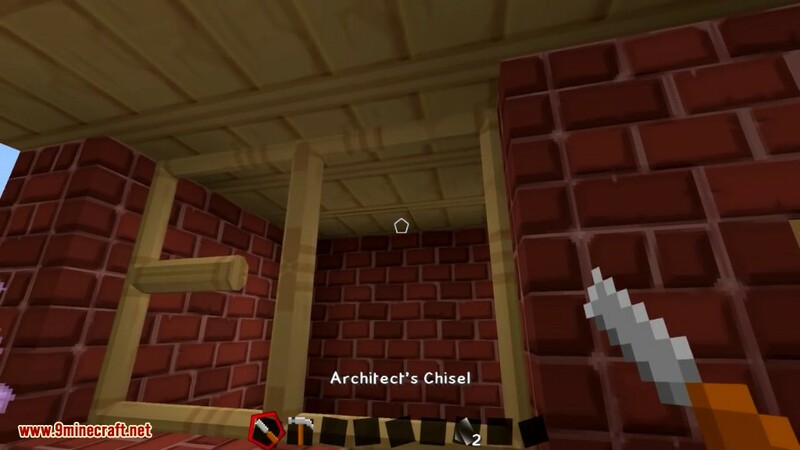 The Chisel is used to alter the structure of blocks in various ways. 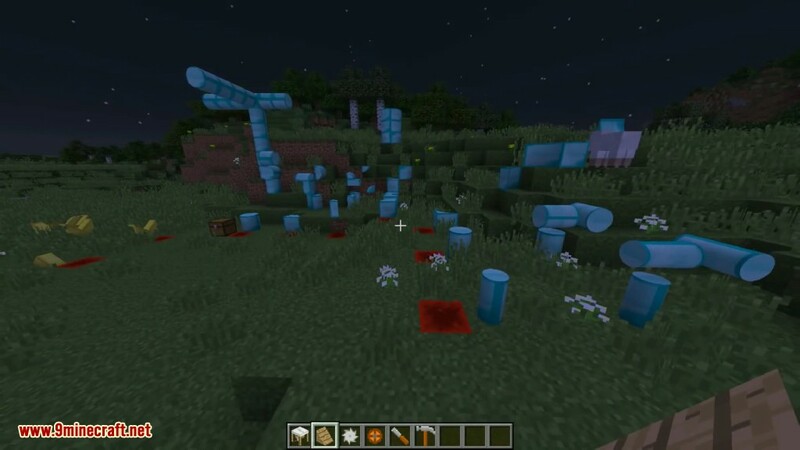 Some blocks automatically form connections with adjacent blocks. 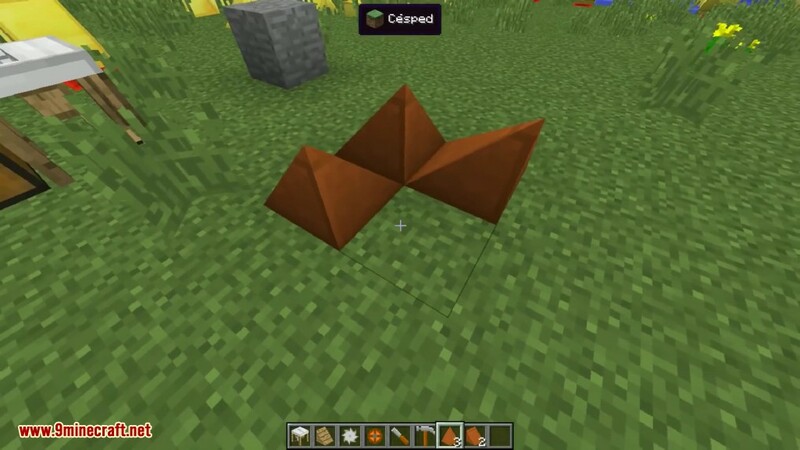 These connections can be disabled and re-enabled by right-clicking with a chisel near the side that you want to change. 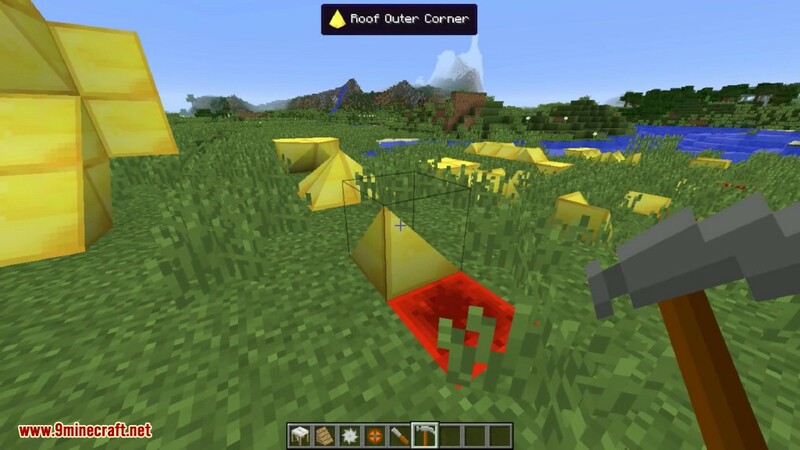 Some blocks can have a secondary material applied to them. 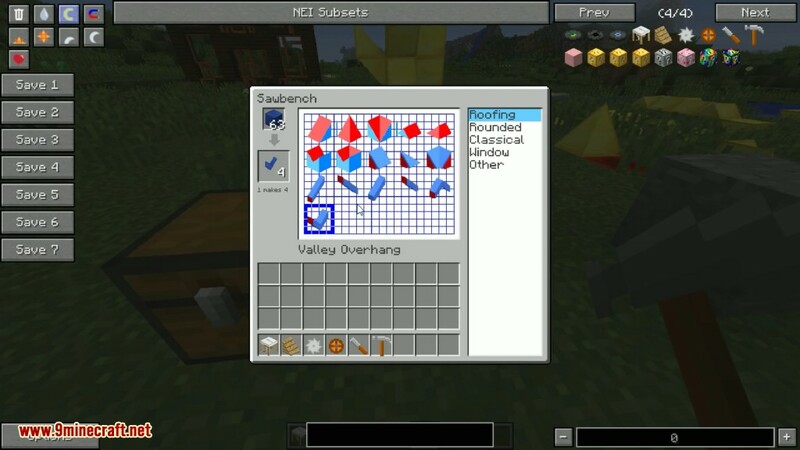 The secondary material can be removed by right-clicking on the centre of the block with a chisel. 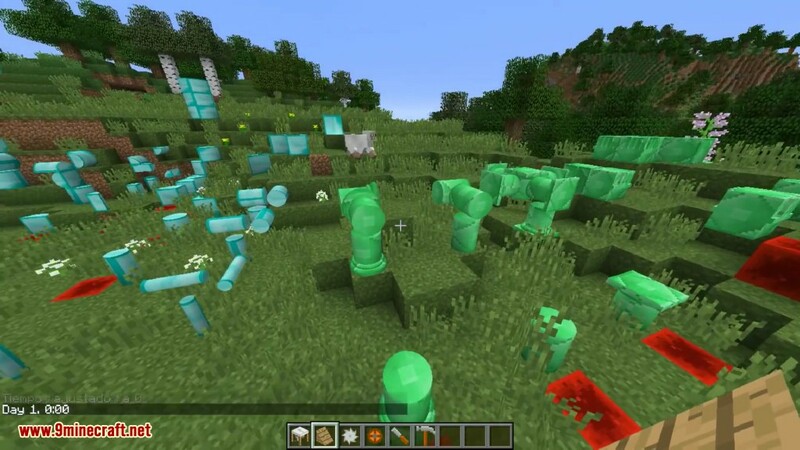 You can also right-click on a vanilla Glass, Glass Pane, Glowstone or Ice block with a chisel to harvest the block without breaking it. 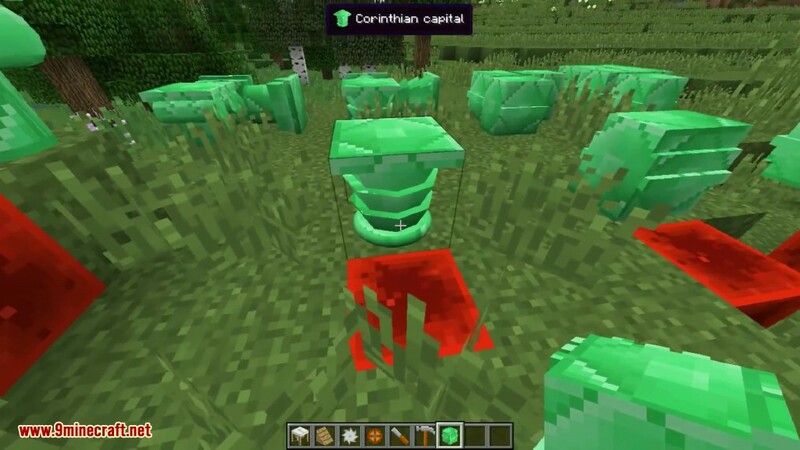 While the exact methods used for placing ArchitectureCraft blocks depends on the type of block, this section describes some general principles that apply to most blocks. 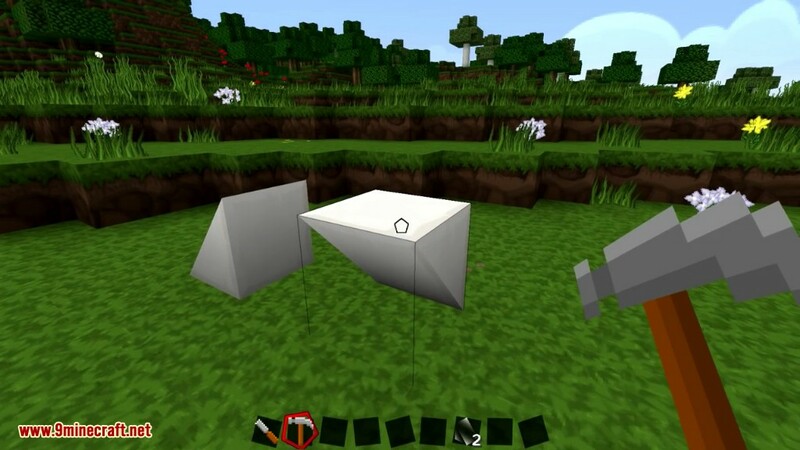 Firstly, blocks can be placed either right side up or upside down. 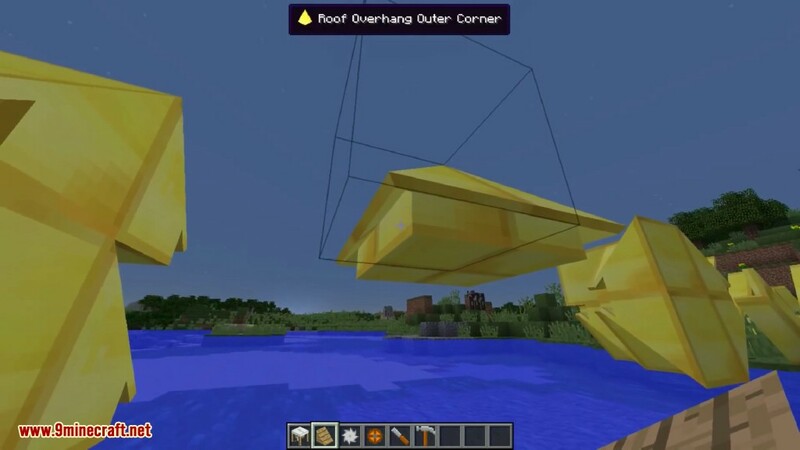 If you click on the top surface of a block, or on the lower half of the side of a block, the new block is placed right side up. 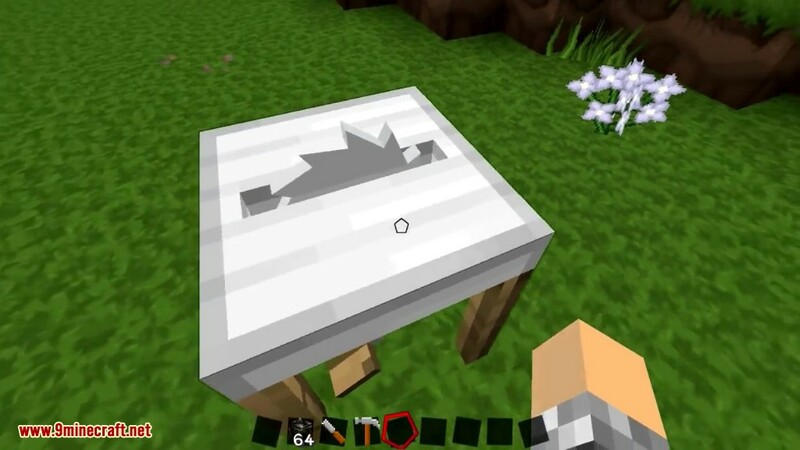 If you click on the underneath face of a block, or the top half of the side of a block, the new block is placed upside down. For an asymmetrical block, the rotation is determined by which corner you click nearest. 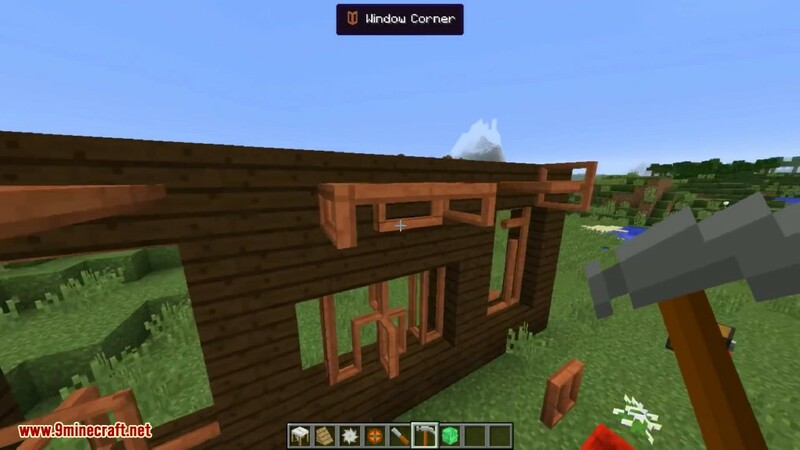 For example, the Roof Outer Corner block is oriented so that its inside corner is nearest to the place where you click. For a block with left-right symmetry, the rotation is determined by which side you click nearest. 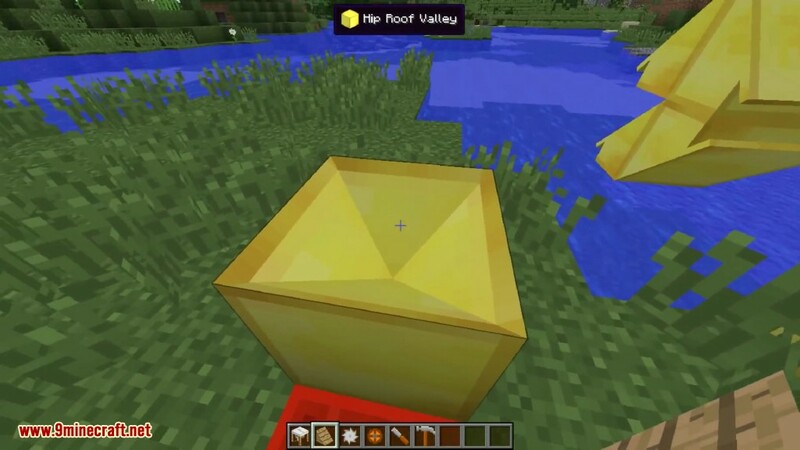 For example, the plain Roof Tile is oriented so that its back edge is nearest to the place where you click. 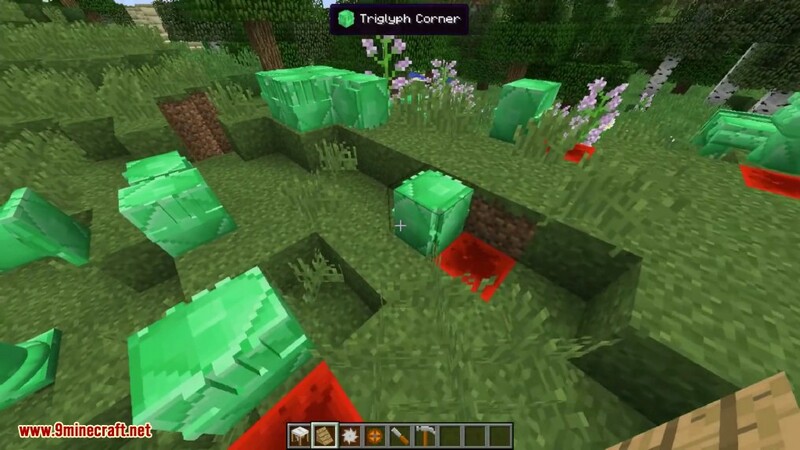 Thirdly, blocks can be placed sideways by shift-clicking on the side of an existing block. The above rules for rotation then apply to the place you click on the side face, with the rotation axis being perpendicular to that face. 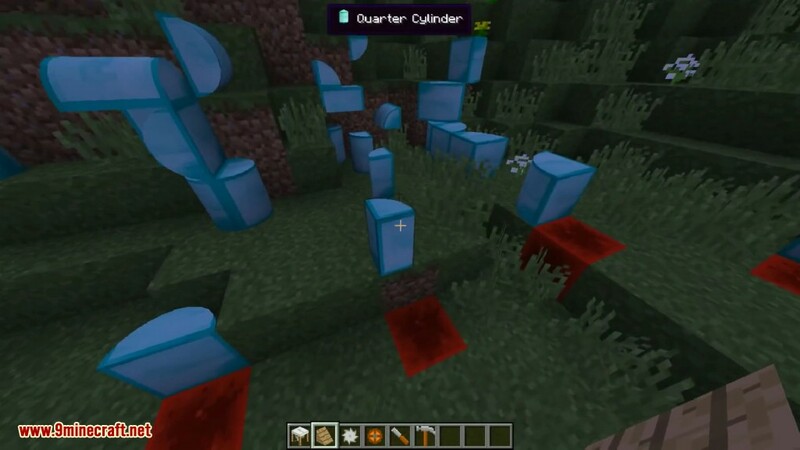 Fourthly, some blocks exhibit special behaviour when you place them by clicking on another block of the same type. 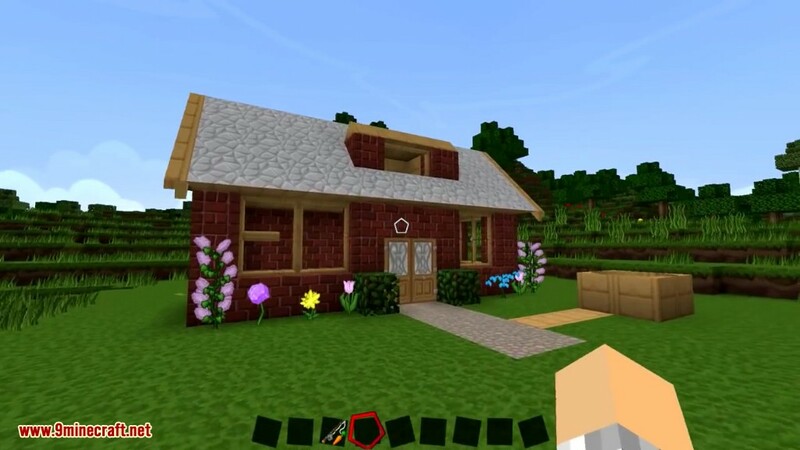 For example, a roof block placed against the side of another roof block will try to orient itself so as to match up with the existing block, overriding the above rules. Most of the time this will do what you want, but if it doesn’t, you can always change the orientation after placement using the Hammer. 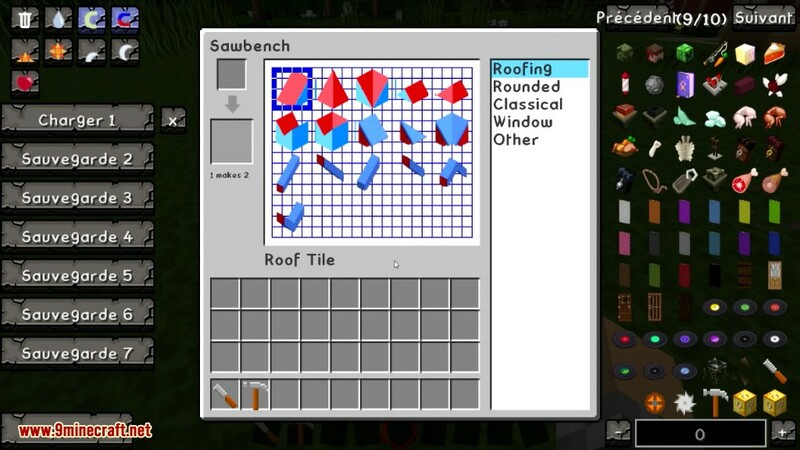 Roof Blocks: Blocks for creating roofs and other sloping structures. 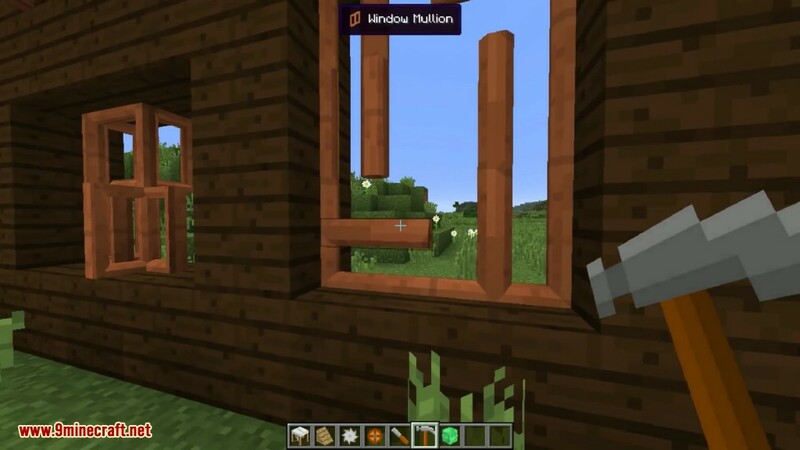 Window Frames: Realistically detailed window frames that can have glass inserted in them. 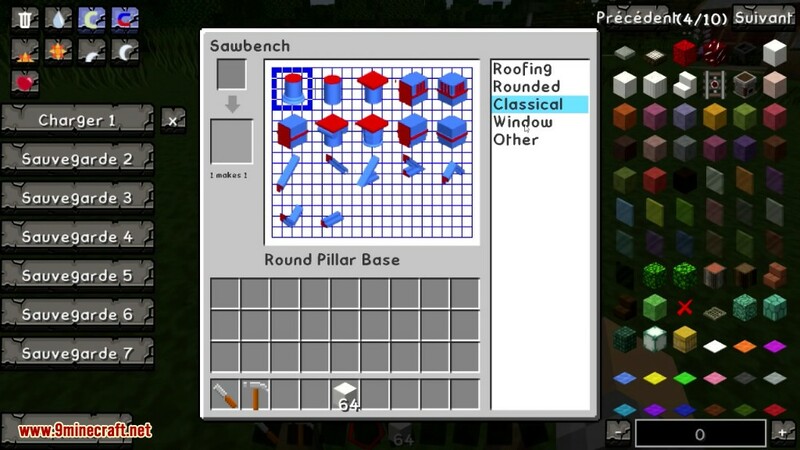 Rounded Blocks: Round pillars, round posts, and blocks for giving rounded corners to walls. 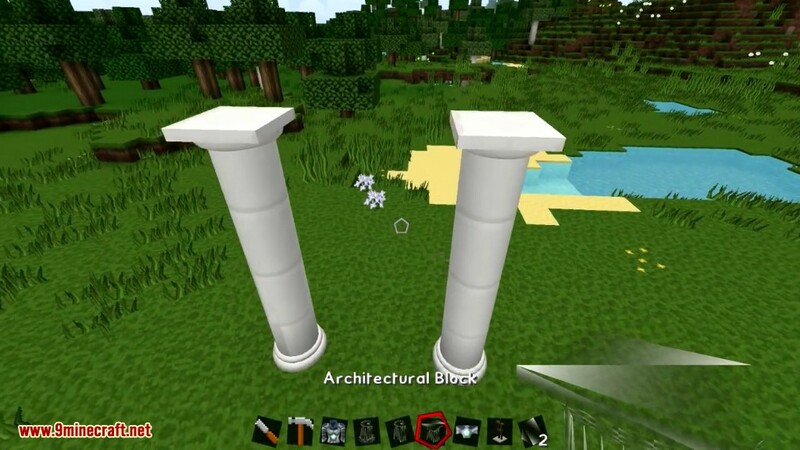 Arches: Parts for building arches of various sizes. Classical: Some elements from classical architecture. Railings: Decorative and functional safety rails for your balconies and staircases. Cladding: for application to other blocks. 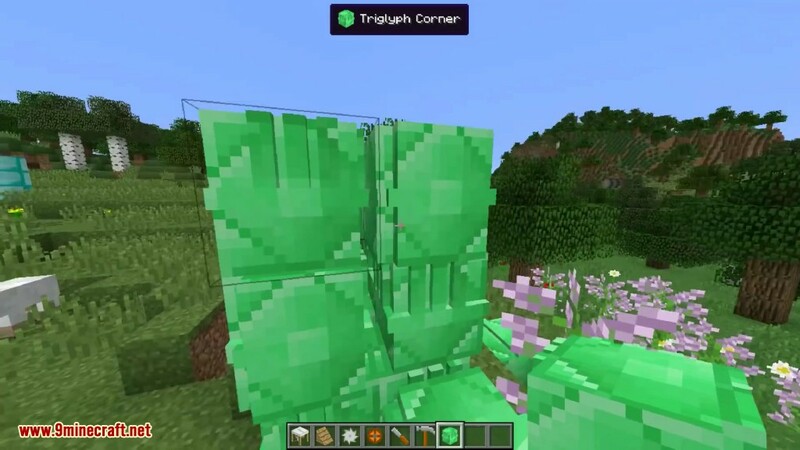 Slabs and Stairs: Shaped like their vanilla counterparts. Cladding can be applied to their top surfaces.